Description: On this Special Show, Dianna speaks with local business owners, Ray and Sandie Bandura of the Olde Town Terrace formerly known as the “Olde Town Terrace Restaurant” who have ventured into a new project in providing three course dinner with upscale entertainment featuring monthly legendary artist or artists. On Saturday, April 29th the Olde Town Terrace in collaboration with Creative Gal Productions are presenting tribute artists, Kathy Thompson and Joe Passion as “Bette Midler and Barry Manilow” singing duets and solo hits taking place at the Collingwood Leisure Time Club. On this Special Show, Dianna speaks with local business owners, Ray and Sandie Bandura of the Olde Town Terrace formerly known as the “Olde Town Terrace Restaurant” who have ventured into a new project in providing three course dinner with upscale entertainment featuring monthly legendary artist or artists. 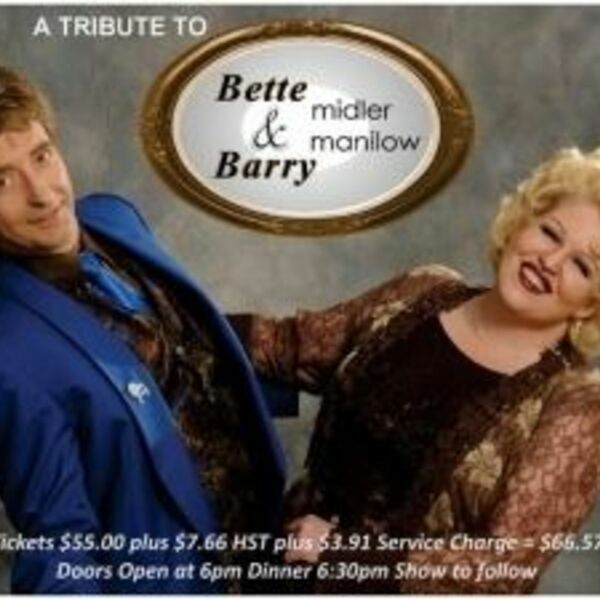 On Saturday, April 29th the Olde Town Terrace in collaboration with Creative Gal Productions are presenting tribute artists, Kathy Thompson and Joe Passion as “Bette Midler and Barry Manilow” singing duets and solo hits taking place at the Collingwood Leisure Time Club.